Travel guides with latest-generation content, images and audio. These extensive travel guides include maps, photographs, and language learning audio. Ancestry Library Edition brings you the world’s most popular consumer online genealogy resource. 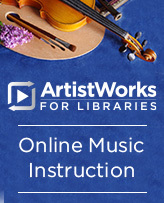 World-class music instruction through step-by-step video lessons led by experts. Listen to our collection of children's, YA, adult, and Spanish eaudiobooks. No checkouts. No holds. No downloads. Automotive diagnostic and repair information, service bulletins and recalls, wiring diagrams. Just answer a few quick questions about your reading preferences and we'll put together a personalized book list just for you! 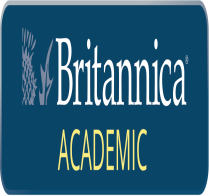 Get free access to live, online tutoring and other tools for students, of any age. Access the complete online encyclopedia, a World Data Analyst Tool that provides statistics on every nation in the world, and interactive timelines. 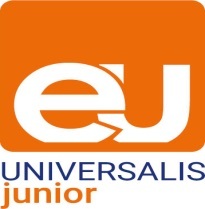 This online encyclopedia is divided into three school levels: Elementary, Middle and High School. Choose the level that is best for you! Full-text coverage of top business, management and economics journals and periodicals. Access to current content and significant backfiles from more than 20 of Canada’s top national and regional newspapers in full-text format. Detailed citations for scientific and technical reports, statistical and annual reports and policy papers from all levels of the Canadian government. Regina Public Library is proud to be a supporting member of the new Centre for Equitable Library (CELA). cloudLibrary is an innovative way to browse and borrow popular fiction and non-fiction eBooks and eaudiobooks from Regina Public Library! World famous and unbiased ratings, reviews and recommendations for thousands of products in hundreds of consumer categories. Biographical information on more than 149,000 modern authors. CPI.Q is the perfect one-stop resource for information from Canadian-focused journals, magazines, newspapers and reference sources. Job hunting? Use Cypress Resume to create your resume and cover letter. Find individual journal, magazine and newspaper titles in our collection of digital services. Designed for both novice and advanced researchers, eLibrary features nearly 3,000 sources to use in your research. Learn how to tutor adults in English! Discover an essential set of scholarly journals and general interest titles supporting research across disciplines. Search 16 specialized databases all at once! Millions of news and periodical articles on a wide range of topics. Updated daily. 24/7 access to a wide range of full-text titles, indexes, and abstracts from prestigious general-interest sources. Global Road Warrior contains detailed cultural, travel, communications, security, banking, and transportation information for 175 countries worldwide. 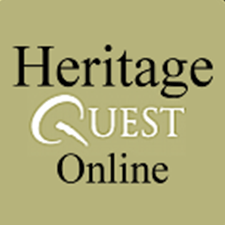 HeritageQuest Online is a comprehensive treasury of American genealogical sources. Hoopla brings you thousands of movies, television shows, music, eAudiobooks, eBooks and comics for free. Use this database to find articles in all major law reviews, law journals, specialty law and bar association journals and legal newspapers. library2go (OverDrive) offers best-selling and classic eBooks as well as unabridged eAudiobooks available 24 / 7 with no late fees. Learn business, software, technology and creative skills with online video tutorials taught by recognized industry professionals. Mango is an online language learning system teaching practical conversation skills for a variety of popular languages. Naxos Music Library Jazz is one of the most comprehensive collections of Jazz music available online. 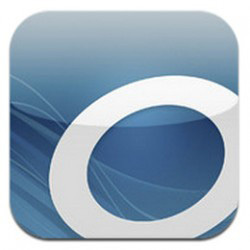 Naxos Music Library is the world's largest online classical music library offering streaming access to over 127,000 CDs with over 1.9 million tracks. Naxos Spoken Word Library features thousands of best sellers and a collection of the world’s greatest literature. Naxos Video Library brings you an extensive streaming video library of classical music performances, opera, ballet, live concerts and documentaries. Naxos Music Library World offers a wide range of world music, from legendary historical musical performances to contemporary world music. Get great Canadian content from the National Film Board of Canada (NFB), with free streaming video of NFB films. Access to thousands of downloadable audiobooks exclusively for patrons with a visual impairment or print disability. Fiction and non-fiction guide for children and young adults. Use a favourite author or title to locate other authors and titles of interest - or find books by subject, plot or series name. Pay your fines and fees online! PressReader delivers an endless stream of top news stories to read, discuss and share. On June 27, 2017 RBdigital launched a new app that will improve how you access digital magazines from Zinio for Libraries. 410,000 références d'articles de périodiques de langue française avec le texte intégral de 20,000 articles. 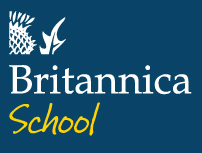 Discover periodicals and reference book content supporting high school student research. Online collection featuring over 400 titles for middle schoolers and teens. Online collection featuring over 3000 titles for reading levels grades 3 - 6. Online collection of animated, talking picture books that teach kids the joy of reading in a format they'll love. Encyclopédie en ligne entièrement en français.